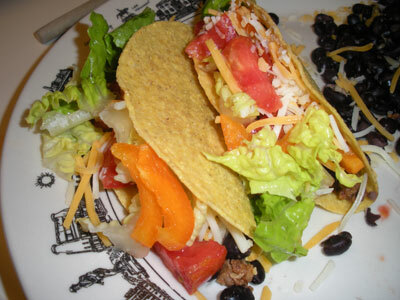 I can make these tacos in about 15 minutes. They are tastier than anything you can buy in a restaurant and a lot healthier too. 1) On medium heat in sauce pan, add veggie burger and spices. Stir fry a few minutes. 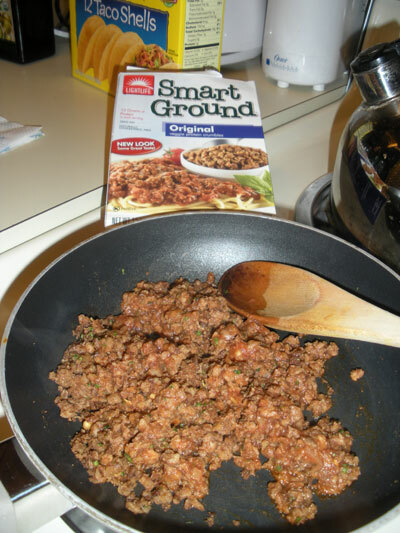 Add taco sauce and stir. Heat a few more minutes. 2) Heat taco shells in 350 degree oven for about 5 minutes. 3) Add ¼ of veg beef to bottom of each shell. Top with ¼ of the black beans. Then top with your choice of toppings.